We provide a wide range of IT support and offer consulting services for larger projects. We support new business and established ones seeking to upgrade existing technology. To best serve our clients we offer a variety of billing options, including hourly, monthly and annual contracts. We offer non-profits and small business special rates. Making the benefits of enterprise class technology accessible and understandable for small businesses and organizations since 2003. If you would like a reply by phone please provide your phone number. are a support contract client, please call the number detailed in your contract for the most prompt response. We will do our best to return emails and phone calls within one business day. You can reach us by phone at (484)-393-4843. The more information we have the easier it will be to provide you with expert assistance! 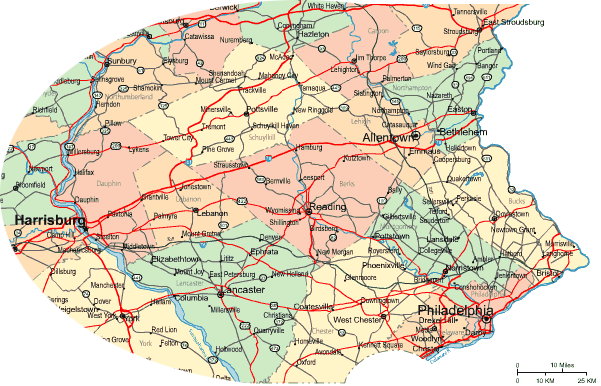 We serve businesses and nonprofit organizations across the southeastern Pennsylvania region. Many problems can be solved by a simple remote session with our technicians, so do not hesitate to contact us with any issues that you may be having, even if you are outside of our area of service. Technology Management is our favorite vendor among all of those we use to run our organization…..we know that we can count on him to keep Habitat up and running.